It was 5am local time and with a skinful of booze, Al Afrose seemed like the mothership for the alcoholically impaired. We needed something so bad to soak up all the bad we did. 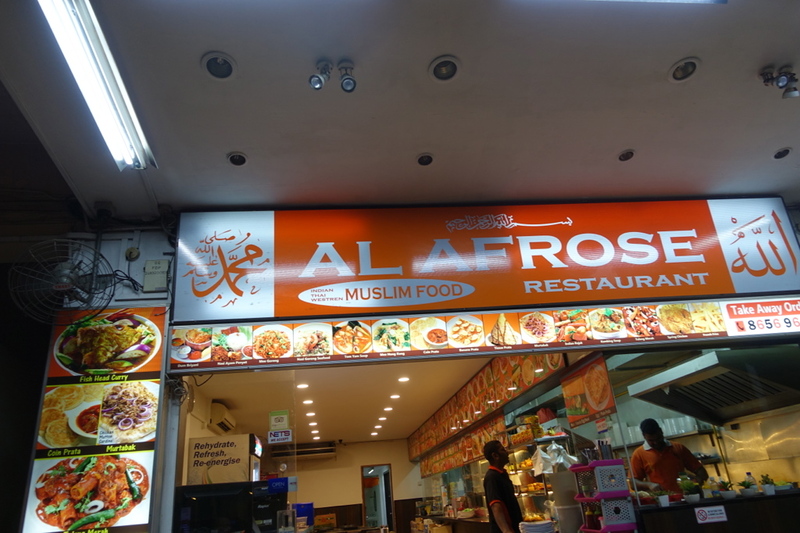 Al Afrose is typically Indian, with an array of thosai’s, parata’s, chappathi’s and curries to be eaten in a canteen style venue. If you don’t know what the items are on the menu, then you have photos above the counter, bright enough to sober up any tipsy soul. They do have some token goreng’s available too if you fancy it. 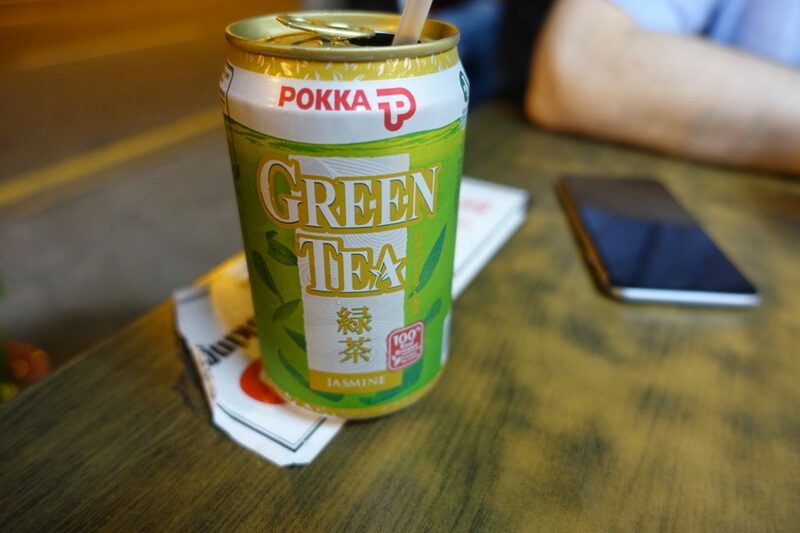 Only in Singapore you can get a cold can of green tea with you curry! 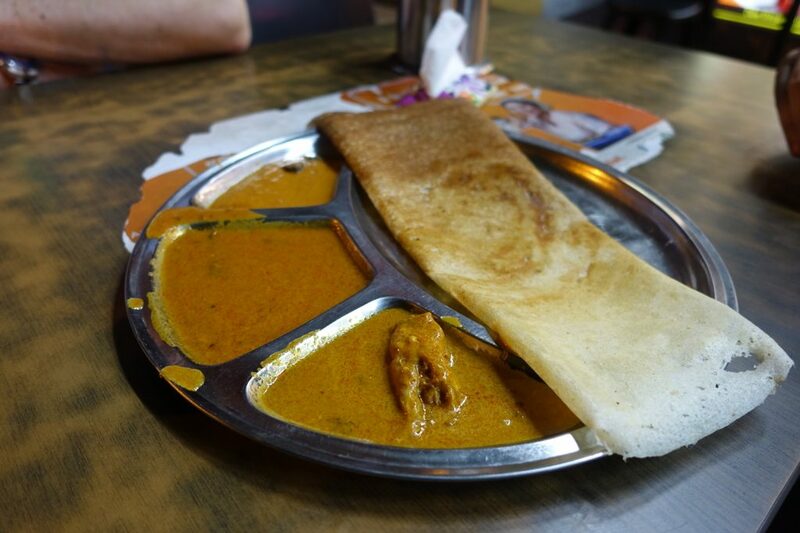 The thosai (or dosa depending on where you come from) could be specced to your liking be it filled with spiced potato, cheese, egg or ghee. Mine was pure and simple with a side of curries. They all, sadly, were a tad watered down with little flavour impact. 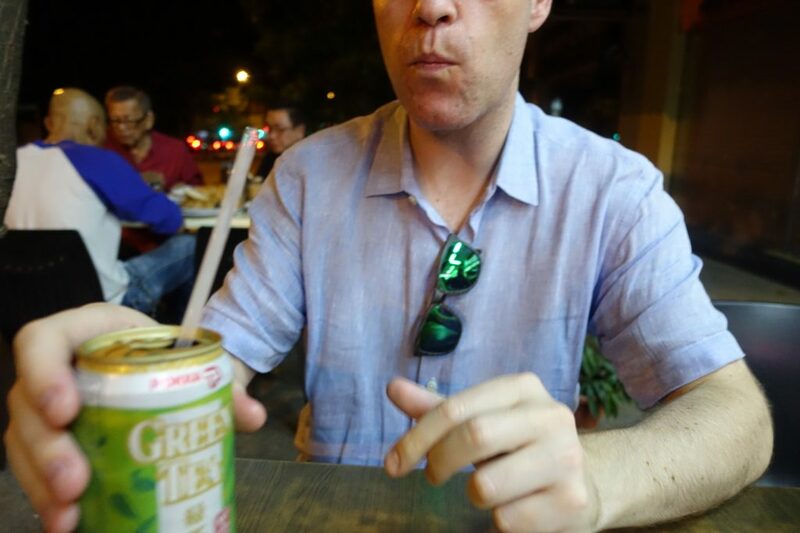 My drinking compadre goes for the cheese prata and mutton curry which looked more satisfying than mine. He inhaled it before I could nick a bit. 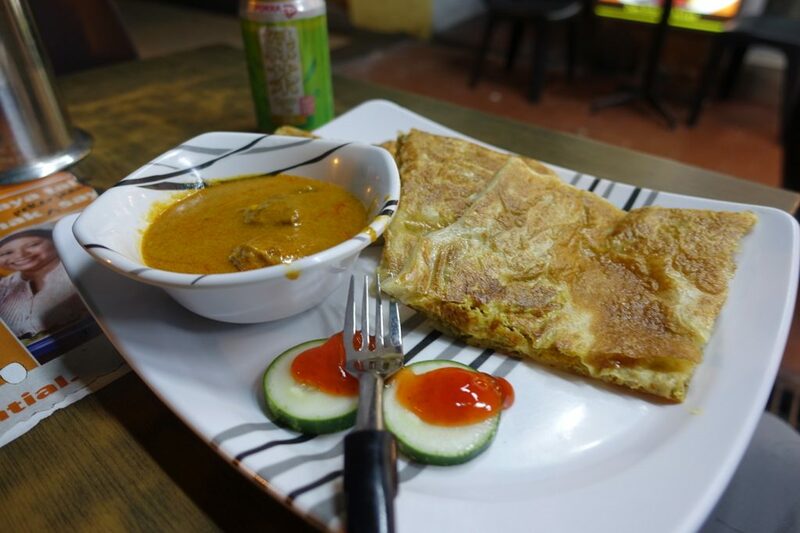 The good: Freshly made, as cheap as chips prata’s and dosa’s with a variety of fillings available 24 hrs a day. If this is your thing then I won’t judge you. The bad: It’s really grubby.